The beautiful Amish Bellingham Mission Bar Stool is mission style furniture at its finest. Mission style furniture offers a simple design with little decoration, highlighting the straight lines and flat panels that bring out the beauty of the solid wood. 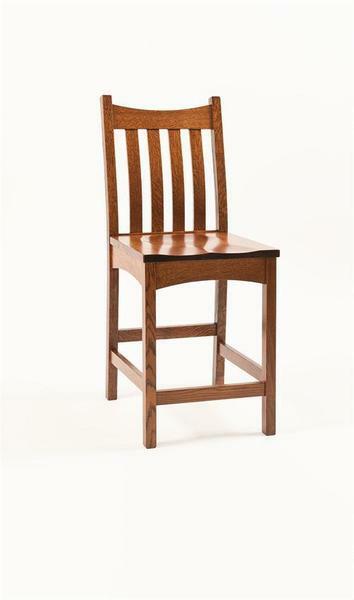 The Bellingham is made in America by skilled Amish craftsmen who scoop and shape each seat to offer you comfortable and durable chairs that your family can enjoy for decades. Back Height from Seat: 19 1/4"
Shown in Oak with Old World Mission Stain.